He was a company advisory board member before becoming acting attorney general. 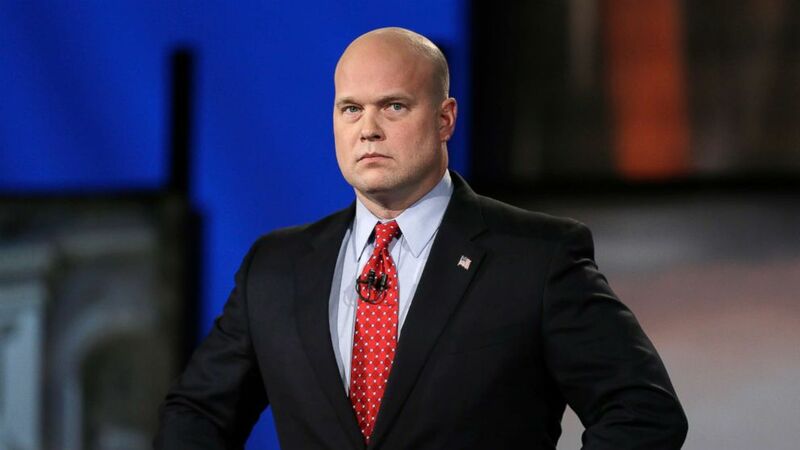 The now-shuttered World Patent Marketing Inc. once touted Matthew Whitaker’s legal chops and experience fighting fraud as a former U.S. Attorney when he was a member of the company’s advisory board. Whitaker’s connection to the company, which the Federal Trade Commission alleged was involved in “a scam that has bilked thousands of consumers out of millions of dollars, ” came under scrutiny last month after he was tapped to serve as acting attorney general, but newly released documents shed fresh light on the extent of Whitaker’s knowledge of the FTC’s fraud complaint. Despite receiving multiple fraud complaints from customers, Whitaker, during his tenure with the company, allegedly continued to promote the company’s projects, according to FTC agency records recently released as the result of a Freedom of Information request by the Washington Post. Ultimately, the FTC investigated, shut down and sued the company. The FTC’s lawsuit concluded in a settlement, in which World Patent Marketing, Inc. neither admitted nor denied the allegations, but the defendants were banned from invention-promotion related activities. The settlement also mandated that the defendants pay nearly $25 million in fines, but the FTC ultimately accepted less than $1 million. The agency did not accuse Whitaker of any wrongdoing during the lawsuit, but now some lawmakers have raised concerns about whether the acting attorney general possesses the ethics necessary for his new role. Whitaker's attorney during the case did not respond to ABC News' request for comment. ABC News was unable to reach the former CEO of the now-defunct World Patent Marketing Inc, Scott Cooper. The Department of Justice declined to comment for this report. (Charlie Neibergall/AP, FILE) Iowa Republican senatorial candidate and former U.S. Attorney Matt Whitaker waits for the start of a televised debate in Johnston, Iowa, April 24, 2014. Whitaker sat on the board of World Patent Marketing, Inc., a Florida-based invention marketing company from 2014 until 2017, when a federal court in Miami temporarily halted the company’s operations and froze its assets. Last year, in filings in the Southern Florida district court, the FTC alleged that the company lured in customers by publishing fraudulent “success stories,” failed to deliver on promises, and took drastic measures to suppress negative reviews. According to records released by the agency on Friday, Whitaker from 2014 to 2016, received phone calls, voicemails, emails from dissatisfied World Patent Marketing consumers, as well an in-person visit as his Iowa office from one client. An email Oct. 24, 2017 from a FTC investigator included in the filings says that Whitaker told the FTC that he forwarded complaints to Cooper, and that he never emailed or wrote to consumers. 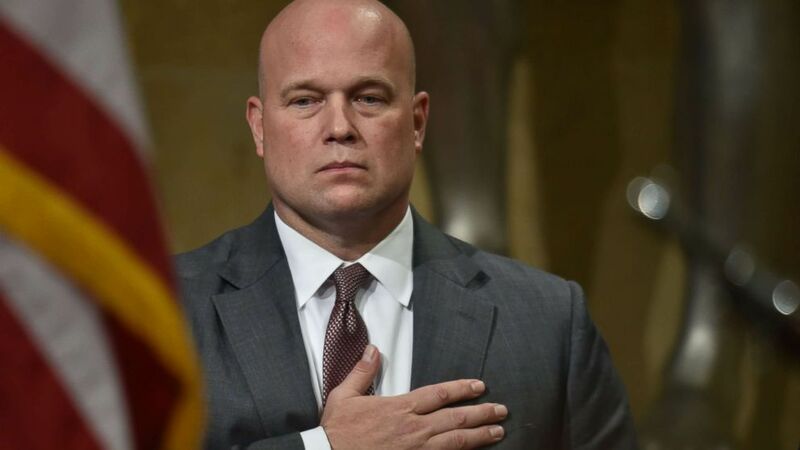 (Nicholas Kamm/AFP/Getty Images) Acting US Attorney General Matthew Whitaker attends the annual Veterans Appreciation Day ceremony at the Department of Justice in Washington, D.C., Nov. 15, 2018. However, previously records made public by the FTC as part of its lawsuit reveal that Whitaker did respond to a customer complaint in 2015. “I am a former United States Attorney for the Southern District of Iowa,” Whitaker wrote on Aug. 21, 2015. “Your emails and message from today seem to be an apparent attempt at possible blackmail or extortion. The FTC’s initial complaint alleges that emails like this were part of a strategy the company employed to prevent upset customers from sharing their accounts. “If consumers threaten to complain about Defendants business practices, including by threatening to post complaints on the internet or complain to the Better Business Bureau or law enforcement, Defendants respond by threatening to file a lawsuit for extortion, defamation, and other causes of action,” the FTC claimed in court filings. The new documents released as a result of the Washington Post FOIA show that on numerous occasions, Cooper included Whitaker in his responses to disgruntled customers, often evoking the advisory board member’s status as a former U.S. attorney. Cooper also relied on Whitaker to build his company’s reputation. In 2014, he sent an email with the subject line “Let’s build a Wikipedia page and use Whitaker to make it credible.” The same here, he asked Whitaker if he would be interested in appearing in commercials for World Patent Marketing. “Our business is expanding so you might get some good visibility nationally,” Cooper wrote. Whitaker replied expressing his interest. While it’s unclear if commercials were ever taped, scripts and marketing emails from 2014 reveal that portraying Whitaker as reputable was a priority. But Senate Democrats have questioned Whitaker’s involvement with the company and his initial delay in responding to the FTC. “These new revelations of Mr. Whitaker’s extensive involvement in World Patent Marketing – as it was carrying out a massive scheme to defraud consumers – and his lackluster response to a federal investigation are beyond alarming,” Senator Bob Udall, D-N.M., said in a statement released Friday. “Mr. Whitaker’s involvement in such a fraudulent entity – and his apparent personal knowledge of the worst allegations – add to the growing pile of undeniable questions regarding his ability to fulfill the responsibilities of his new role as the nation’s top law enforcement official,” Udall continued. During a Tuesday hearing before a subcommittee of the Senate Commerce Committee, FTC Chairman Joseph Simons said the agency would brief lawmakers on the matter. The FTC’s lawsuit concluded in a settlement, in which World Patent Marketing, Inc. neither admitted nor denied the allegations. The defendants were banned from invention-promotion related activities. An investigation by the U.S. Postal Inspection Service and the FBI's Miami office into the company ongoing.